ICOM, as you may have already read, is a global network of independent agencies. What makes this network very real is that members get to meet at least twice a year. Once in a global setting and once at a regional meeting. 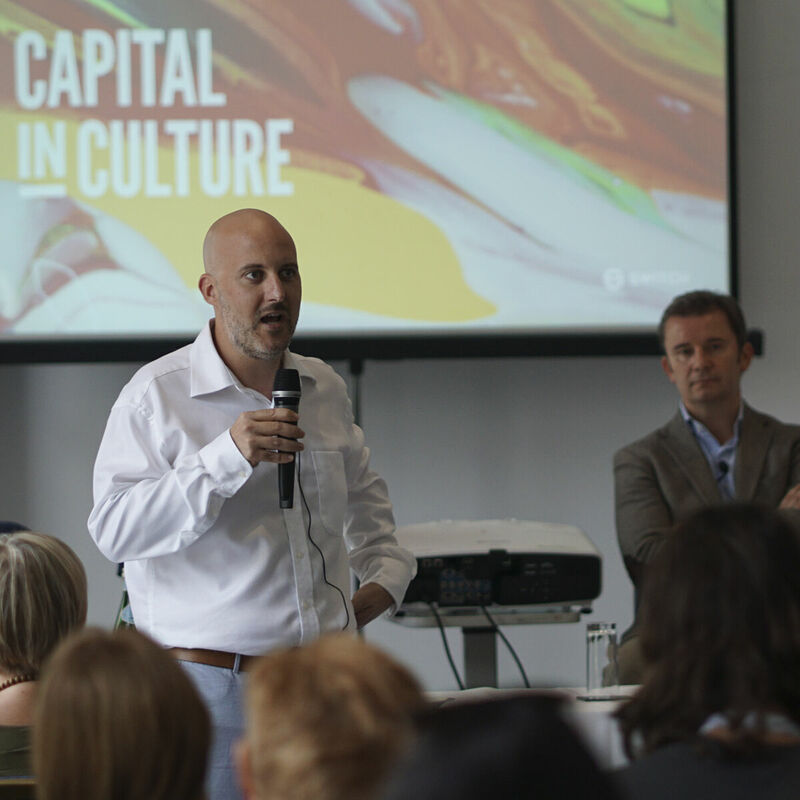 This year Switch hosted the EMEA meeting in Malta, specifically in Valletta, which is the European Capital of Culture in 2018. The Switch team has been working full-speed ahead for months trying to make this event the biggest, brightest, and most memorable EMEA meeting ever, and, if we may say so ourselves, we think we managed. All that hard work and effort paid off in a week-long extravaganza that saw us hosting the leaders of some of Europe’s top independent agencies (with some even joining from as far as the USA and Africa). Just like he feels every time he makes it to an ICOM event, Richard loved watching agencies rally together and energise each other, and came back with the drive to do better. The zeal to do things differently, and to innovate and collaborate with agencies that are both larger and smaller than Switch, is always inspiring. 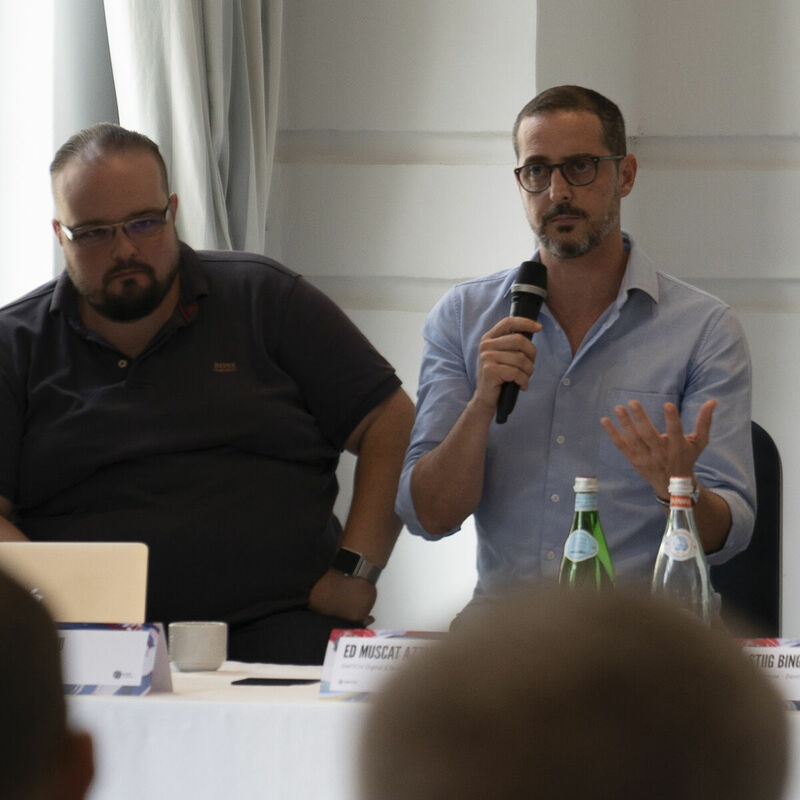 Meetings tend to be catalysts for innovation, so when the opportunity arose to host a meeting in Malta, he wanted to make sure we innovated the innovative. This was done by adding two new events around the main event, the first was inviting members of the local business community to a panel discussion held by global agency leaders and the second was the addition of a boot camp for a selection of the brightest minds under 30 years old in agencies who were participating in the event. The intergenerational panel discussions helped to bridge the experience of under-30s marketing team members with the older generation, and watching them come together and share their ideas was fantastic. The design team always works as a family – but the preparation for the ICOM event really got them working into close-quarters. The designers pooled their efforts and swapped jobs around to meet deadlines before they were deadlines; helped renovate the offices downstairs; pitched in to help source suppliers, ordered food, and made the time in the day to make sure everything got done. At the event itself, it was Spencer Heijnen’s talk that really made an impression: conflict management and resolution through positive reinforcement. By guiding the agencies through an exercise where everyone laid bare their anxieties, it allowed the agencies to see that at the core, their fears and their struggles were universally understood. Furthermore, watching the ways other agencies worked gave Andrea further insight into how Switch works, how we can re-assess where Switch is going, and how to improve the agency. It helped that the ICOM event felt like one big family gathering. The event gave Antonella a chance to test her comfort zones. By being the photographer for the under-30s, she got to go around with them for 3 days, and work on her photography skills and her confidence. Furthermore, because she was primarily with the under-30s, she got to talk to them about the similarities and the differences between agencies. As for the ICOM event, she was the only designer present during the workshops, which gave her the opportunity to try and understand what designer roles in agencies consist of. The team-building exercises also allowed her to study how people from different cultures interacted with each other (Switch has about six nationalities and eight languages between us, so culture shock is an experience we’re familiar with) and worked to understand and optimise the way they worked together in a new environment. The only Switch representative on the winning team in the treasure hunt (an even more impressive feat since she’s at her home away from home in Malta), Ernesta thought the ICOM meeting was a great opportunity to better round out her skills. From communication improvement activities to developing new strengths, the event gave her the tools to deal with real-life client challenges. 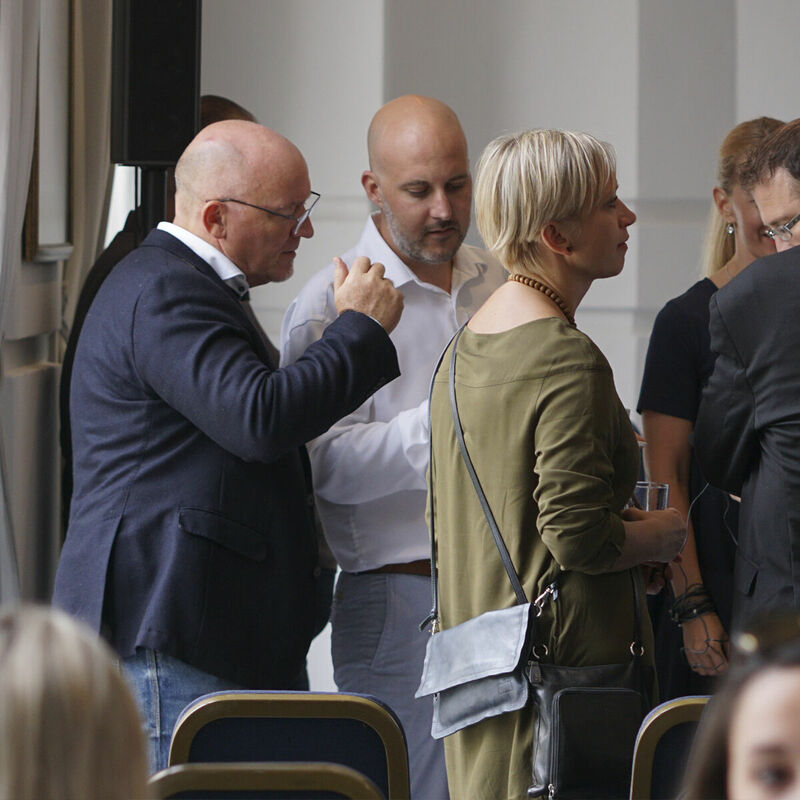 The standout event was having to find a solution for Matthew, eCabs’ founder, who presented an existent problem for his business which needed a solution in less than 5 hours for a presentation to the agency leaders. Coming together and developing a strategy to help energised Ernesta, and built her competitive spirit so that, come the treasure hunt in Valletta, she gave it her all despite social anxiety, and came out on top. Melissa loved the opportunity to organise a conference for agency leaders, and to watch the attendees react to the events she’d painstakingly planned, but her favourite part of the entire event was the office visit. A little secret between us: the Switch offices are still under construction, with the entire office slated to move in December. However, for ICOM, we wanted to showcase the best of what Switch can do, and what better place to do it in than our new offices? Everyone struggles with feeling inadequate in their jobs, but Teri found the Anxiety Party really helped to put it into perspective. Based on the talk by Spencer Heijnen, Teri found the exercise originally developed by Google Ventures to be a fascinating insight into the way every agency leaders shares very similar anxieties about their work. Better yet, she managed to get valuable advice on how to immediately deal with and harness the problem. More about this next week! Astrid planned and orchestrated a lot of the events for the ICOM members. From helping to build an app to guide them around Valletta to organising a farewell dinner to send the ICOM members on their way, Astrid was in the belly of the ICOM beast for the entire duration. What she took away from the event was that there’s never enough planning. Sometimes, events that were put forward have to be shifted around or changed. As a result, Astrid felt that orchestrating the ICOM event was a good foundation to really hone her organisational skills. While she couldn’t participate in the ICOM event from the beginning, Astrid still managed to feel as though she had a lot to contribute as an ICOM member by giving her opinion. ICOM EMEA 2018 has been a whirlwind event for us. Between dip-dying pencils to sourcing the perfect outside speakers, Switch has been go-go-go for weeks trying to make sure that the people who came to the event enjoyed themselves to the fullest. We had people working inside the office and behind the scenes with us; we set up treasure hunts around the Maltese capital, and intergenerational discussion panels; it’s been exhausting, fun, and illuminating.